One habit that you will be proud to change! The challenging plastic ban law in India was pending for many years at the court and it didn’t seem to succeed. There were discussions about what was the reason behind it. It was a law, which was not implemented. Maybe there was no monitoring from the government side or maybe we, costumers didn’t care enough. In the end, there was no visible change. To look from another side, it is actually pity that we need a law which ban plastic bags. It is very obvious that there are many good reasons of using plastic bags; but actually plastic has many extremely bad effects on the environment. Union Environment Minister Prakash Javadekar said that at least 30 kilograms of plastic can be found from the stomach of every cow or buffalo which dies in India. Plastic bags take 1000 years to be decomposed. Only 1% of plastic bags are recycled, the rest finish in the landfills and oceans. It is estimated that 1 million birds, thousands of turtles and other sea animals die each year after ingesting discarded plastic bags. Plastic bags are made from petroleum oil. The amount of petroleum which is needed to produce 14 plastic bags is equal to the amount of petroleum which is needed to drive a car one mile. Yes, so many bad implications of the product which is usually used only once. We are finally discovering the inconvenient truth about plastic bags. 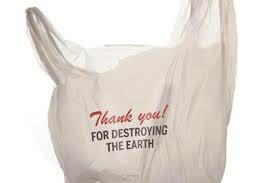 If you have already switched to reusable shopping bag than applaud yourself to be environmentally aware. If you are still using plastic bags, I want to highlight one simple point to you – the matter of plastic bags is the matter of our habits. It is very simple. Plastic bags are very convenient. 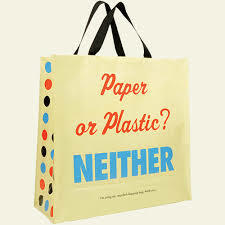 But if there will be no plastic bags at supermarkets and shops, you would simply bring your own one. The current system made as not to think about the bag itself, because it is always available in the spot. Interesting but alarm is the fact that plastic bags are extremely cheap and available everywhere, more than food and basic needs. If you have only 1 rupee you can buy a plastic bag, but you cannot buy food. That doesn’t make any sense at all but it does make us think in what kind of world we live in. There are supermarkets which are promoting paper bags instead of plastic ones. Also, they are trying to convince us that vegetable and fruit bags are bio-degradable. Unfortunately, they all have negative impacts on our environment – in the end they all finish as waste items. To change this attitude you have to change one small habit – to always take a bag with you. A bag should be like your wallet and phone, which you always carry with you. In the beginning, I would suggest you reuse the plastic and paper bags which you already have. When you run out of them, do not get a new plastic one; instead get a reusable textile bag. Reusable bags are not only eco-friendly; they are also fashionable. It is hard to express your individuality with a plain plastic bag. Reusable bags typically come in a variety of colours; they can have imprinted message or logo and be personalized in the way you want. 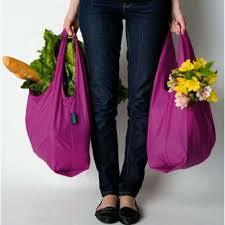 Reusable bags have multi use – you can use them for many different occasions, not only shopping. And overall, they are super easy to wash as well. 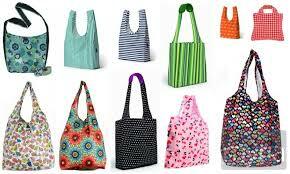 Online you can find many providers of reusable bags who will make the bag according to your wishes. It is one time investment. But if you are creative, you can make a perfect reusable bag at home as well. Here is a link which shows you one of many ways how you can make your own bag out of an old T –shirt. Here is a small challenge for you – This week remember to take a bag with you when you go to buy vegetable, fruits, groceries or any other items. Simply carry a bag with you. Slowly, carrying a bag will become a habit just like your wallet and your phone. It is enjoyable to use your own bag, designed in your own way and which is expressing you as a person. It is such a small step for a man, but a giant leap for the environment and the mankind. Festival season and pollution – More noise and less celebration! Everyone loves festivals. Session of festivals is the time, when we spend more time with our friends and families; we eat good food and enjoy different events. This is the time to get out of our hectic lifestyle and forget about daily worries. Or maybe not. Festivals become a stress as well. 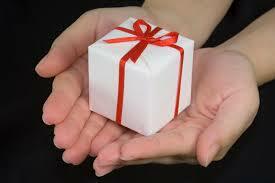 Before the festivals we are in a hurry to buy all the gifts for our dear ones and buying new clothes for ourselves. Lights are everywhere and many of us cannot sleep during the “Bright night”. Festivals also become noisy. 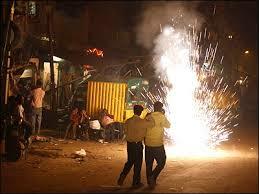 There are firecrackers everywhere and we cannot even hear the traditional music, played outside on the streets. Animals, and pets are frightened. Next day, we read in the newspapers about all accidents which happened during the celebration, mostly because of the firecrackers. Streets are full of trash as a monument of the last evening party. It′s not good. It is harmful for us and even more for older and sick people, small children, animals and especially for our environment. Sadly, festivals are the reason for a huge pollution in our environment. For example Diwali, as one of the most important festival celebrated in India. People of all age groups are burning crackers and forgetting about the injuries they are casting on nature along with their own health. Pollution Control Board data shows that air pollution level during Diwali increases at least for 50%!! Crackers contain elements like copper, cadmium, sulphur, aluminium, barium and others. Once a cracker is burnt, it releases toxic chemicals that remain in our air for a long time. Firecrackers can cause hearing loss, high blood pressure, sleeping disturbance and a sudden exposure to the loud noise can cause a temporary or permanent deafness or even heart attack. Imagine what it does to those who chronically suffer from asthma and related diseases. Smog during the Diwali and festivals in general is the reason for a huge number of car accidents because the visibility is very low. Pets such as dogs and cats also suffer because of firecrackers. They have a more sensitive sense of hearing than humans and they are exposed to the noise all the time. A day after Diwai, the roads are littered with burnt crackers and wrappings in which gifts and sweets boxes are packed. The solid waste produced by the city increased by nearly 25-30% during the festivals season. 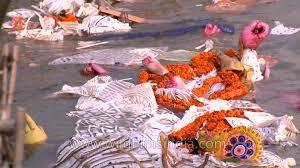 Festivals are associated with celebration and entertainment with a specific religious or social purpose. It will be right to ask ourselves what we really celebrate during the festivals. Aren’t we losing the aim of the festivals with all the distraction around us? Is it the real point of the festivals to burn crackers and make a lot of noise? Festivals should not be blown away in the smoke. There are so many other ways to celebrate other than bursting firecrackers and meanwhile bursting our money as well. Let′s cook together a special cuisine, watch a good old movie or have a family karaoke night. Let′s make festivals different this year. 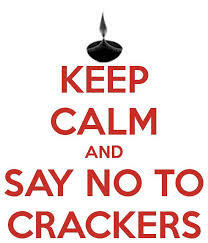 Say NO to the crackers and NO to the celebrations which harm people and environment. 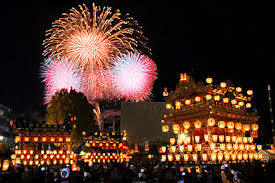 That will be the festival which we will remember and which will enlighten our lives with sparkle of joy. There is one category of waste that makes everyone uncomfortable. It is the disposal of our sanitary waste. Mainly, these are used disposable diapers and feminine hygiene products. With the addition of blood and faeces, these waste materials become dangerous for people, working in the waste management. They contain materials like cotton, a super absorbent polymer and plastic. In India, there are 31 children born every minute. An average baby goes through 5000 to 8000 diapers until being toilet-trained. Today, millions of babies in India use disposable diapers. They are used just for couple of hours and then tossed into a landfill where they stay for 200 -500 years until they decompose. The first disposables, created 60 years ago will likely be still around until your great grand children are born. The same problem is related to the feminine hygiene products. Only 12% women of menstruating age in India can afford disposable sanitary napkins. But, sadly, these women will throw 21.3 billion sanitary napkins into landfill during their lives. In both, disposable diapers and sanitary napkins, the main ingredients are wood pulp and chlorine bleach. Chlorine bleach is used for aesthetic reasons but in the same time it makes huge environmental and health problems. Toxic chemical are released while we are using the products. Dioxin and furan are carcinogenic and some others are polluting our rivers. The whole circle of producing and using these sanitary products is extremely non eco-friendly. We use precious resources like crude oil, trees and water. 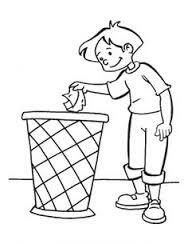 In the end, sanitary wastes end up in a landfill since there is no option to dispose them safely. There are many reusable options for both diapers and sanitary napkins. All of them are available in India. The switch from disposables into reusable is not only cheaper in the long run, but also has an impact on our health. 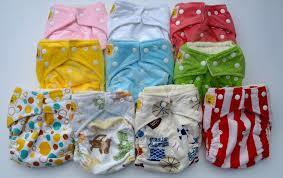 A solution for children sanitary is simple cloth diapers, which were a good practice in old days. Parents are usually using the method of early toilet training for their child and cloth nappies help to signal wetness. 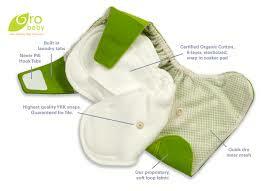 For parents that find cloth nappies difficult to use, alternative are reusable modern cloth diapers. These diapers have two parts, a water tight outer cover with washable cloth insert inside. The reusable cloth diapers reduce allergic skin reactions, prevents boy′s testicles from overheating, don’t smell, they are far cheaper than disposable; kids cannot take them off as easily as disposable, they are trendy and attractive. For women there are at least two ways on how to use healthier and sustainable options for sanitary towels. The first one is the “She Cup” which is made from silicone. It is a designed cup that collects the menstrual blood. Once it is full, the cup can simply be emptied into the toilet, cleaned and worn again. The second option is reusable sanitary napkins made from cloth. It is very similar to the disposable one. Cloth napkins provide absorbency by using many layers of cotton. Reusable diapers and napkins might seem to be daunting, but they are not at all. I believe it is much more daunting fact that chemical ingredients in the diapers and napkins are seriously threading our health and destroying our environment. This change will save your money, protect your health and help the environment. Take an eco-friendly step! Have you ever heard about zero waste village? A village which is 100% eco-friendly? Vatavaran established replicable and original model for urban society, scientific and zero landfill system as an ideal way how to solve solid waste management. Recently the project is happening in Aliyar and Dhana villages on the request of the Maruti Suzuki India which is working in that area. Aliyar and Dhana were in the past agricultural villages. With the development of the city, the land was bought by HSIDC and sold to the industry companies who established their plants. The land was taken and the owners got reimbursements with which they rebuilt their buildings for rents. The land was taken and the owners got reimbursements, but most of the people who worked on the land had lost everything. People lost jobs and the lack of skills which were needed for the possible job positions made the situation even worse. The area got industrialized. Owners of land became the landlords of the buildings. The rest became unemployed and poor. Unemployment has increased alcoholism. On the other hand population of the villages is still growing. Most of the buildings have around 45 rooms and in every room lives 2 to 4 tenants. The lack of space and no proper waste management made the villages dirty and unhealthy for their habitants. Waste is lying everywhere around. Some of the families just throw the garbage every single day in the nearest empty field. 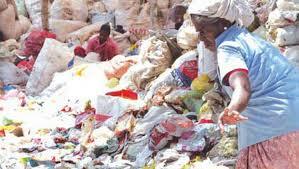 Some waste is collected by rag pickers who are a very important part in the chain of recycling. Still, a huge part of waste finds its place in the land. Vatavaran and Maruti Suzuki India has decided to help these villages with Zero Waste model. They will organize training for thousands of villagers to dispose off the waste at the right place and in the right way. The present empty area, which is full of trash will be reconstructed and used for separation and storage of recyclables. The biodegradable waste will be used to produce energy. Paper will be recycle as well raw materials. A part of the project is also green building and self help groups. Stitching, mushroom and neem products unit would primarily empower the women of the twin villages and raise the economic status of the villages. Vatavaran′s Zero waste project will not just take care of the waste material, but will also provide electricity in the village, empower the women, make rag pickers waste mangers, brings equality and create green jobs for the inhabitants. 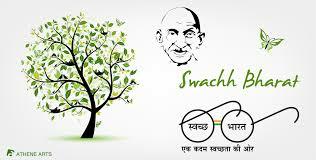 On 2nd of October as a tribute to birth anniversary of Mahatma Gandhi and second anniversary of Swachh bharat Vatavaran started with an awareness campaign where they introduced the Zero waste project to the villagers. Thousands of villagers had gathered in the only park of twin villages Aliyar and Dhana. After brief opening and meditation with the help of Art of Living the youth brigade let by Rakesh Kumar from Aliyar and Parveen Verma from Dhana undertook cleaning of the two villages, with the help of women, girls, Vatavaran team and guests. 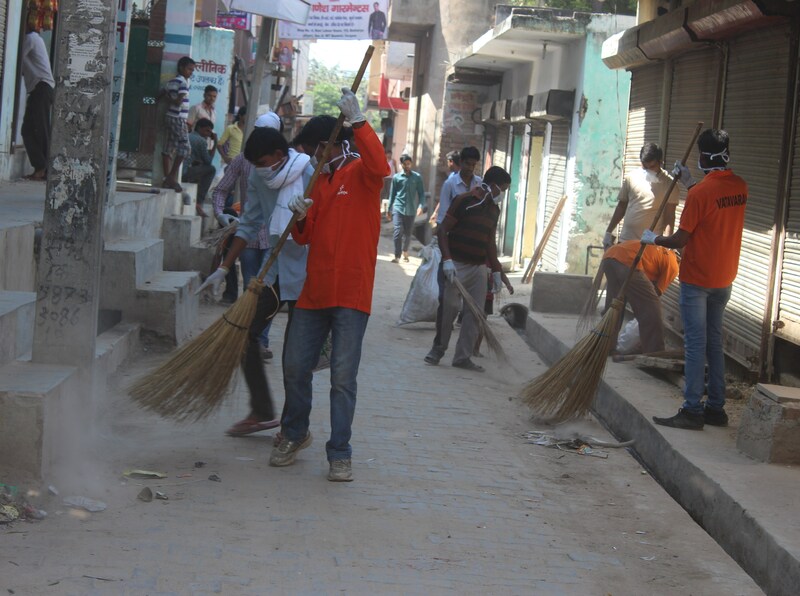 4 teams in 4 corners cleaned the whole village, while they were spreading the word with slogans. The women team was ahead of every other team. 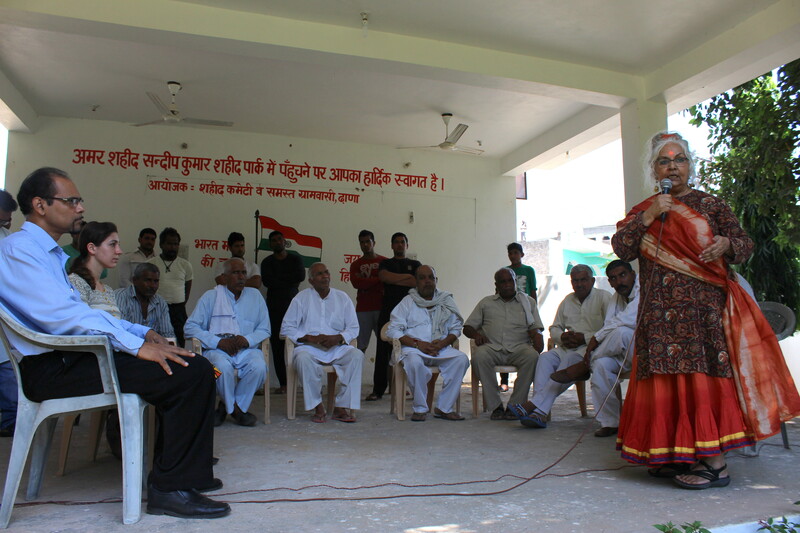 To raise mass awareness cultural program, debates and poetry recitation was undertaken. Enthusiasm of the people was wonderful! The whole village participated and now the villagers are super excited for the project! In a perfect world, there should be a closed loop between waste creation and recycling. Ideally speaking, every colony in a city or village ought to be zero waste area. This is possible is every colony, unit, village handle its own waste in the circular economy. And this is what exactly is happening in Aliyar and Dhana villages. India is an ancient civilization and was considered to be a pious nation. People follow their faiths very devotedly. Hindus, Muslims, Christians, Sikhs, Parsis, Jains, etc., all follow the religions which are very close to the nature. All religions are talking about how we have to be connected and take care of our Mother Earth. Sadly, it seems that it was and it is practiced only in the kitchen and in the religious activities. There are three very important things in Indian culture: good food, good clothes and clean home! It seems like we keep our homes perfectly clean, but we are not concerned about keeping our streets, parks, lanes and other public places dirt-free. We don’t feel that this is our responsibility. 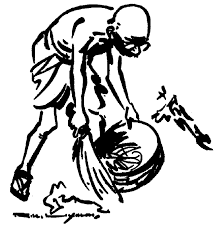 Mahatma Gandhi was a great champion of cleanliness. He was very much concerned about the dirty roads, streets and temples. When he returned from South Africa he started motivating people to make the country filth free. 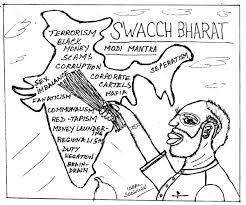 Apart from preparing people for mass struggle against Britishers, he also lectured them about cleanliness. It was a year ago, when Prime Minister ShriNarenda Modi launched the Swachh Bharat Mission. On 2nd of October 2014, a day of Gandhi′s birthday, he swept the road and showed the country that everyone is responsible to make India a clean place again. It was clearly declared that this is not only the duty of the government, but each and every citizen in the country! Modi′s government took this challenge or task as one of its priorities to make India clean. Aim is to provide sanitation facilities to every family, including toilets, solid and liquid waste disposal systems, village cleanliness and safe drinking water. Today, we are celebrating the first anniversary of the campaign and it is important to overlook – what did we achieve in the last year? Everything started with a huge event, where many celebrities, sport starts, singers, actors and actress were invited and most of them joined the movement. Social media was full of news and photos. Schools were planting trees and cleaning their campuses. Local circles were created to connect people from whole India. It was and it is a beautiful idea, but it seems it was not realized in a way it should have been. It is not all black and white. According to the local circles, Gujarat, Chhattisgarh, Andhra Pradesh, Punjab, Karnataka and Himachal Pradesh have shown significant improvement. Still there are 23 states left which hasn’t achieved any of the targets. If we talk about India as a whole, the biggest achievement was raising awareness among school children and that was the major part of the campaign. Maybe the results would be seen after couple of years. The campaign started with huge events and publicity; however, suddenly it has disappeared in daily habits of people.These events might be an important part of the campaign, but I don’t think it can help India in long run. What might help would be to change our mindset as rightly said by our PM. What can be done? Clean India does not mean only cleaning roads. It is important to teach people how to segregate waste, talk about good practises from India and from around the world. Let′s teach people in a way that taking care of the environment is not an obligation but a way of living and daily habits. Municipalities should be more involved in the process and so does the government. I believe there should be laws, which will help us to achieve the goals. In the past there was a law to ban plastic bags, but it wasn’t enforced neither monitored by us and again, we let it disappear. But this time, let′s bring all good practices from the past and enable them to operate again. Some people will might say, that we didn’t achieve anything in this year. It will not be right to point at people because we are all responsible – it was and it is a national movement. It is more important to highlight all the achievements and talk about them. Highlight all the good practices and show people that we can change the reality. And whatever was not done, we have to learn from those mistakes and try harder this time to achieve the goals. If we want to change everything, we need everyone. And as, Baapu said – Be the change you want to see in the world!